Looking for a place to relax and escape from everyday life? Book accommodation on camping pitches in the pristine nature of the southern part of the island of Cres with a 10% discount and rest and relax like never before. Book your accommodation in luxurious glamping tents and relax in the pristine nature of the southern part of the island of Cres! Three different types of tents - book now! Enjoy the comfort of equipped mobile homes in the beautiful Mediterranean ambiance of the island of Cres. Experience the charms of nature at the Baldarin naturist camp! 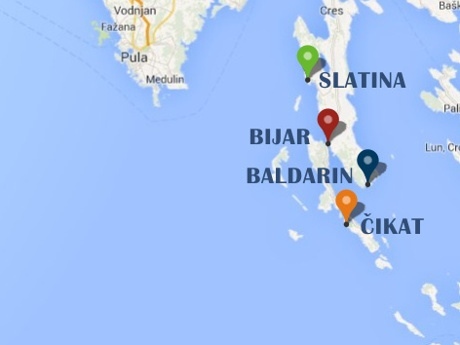 Baldarin Camp is located on the most southern tip of the island of Cres, in the area of Punta Križa, away from the bustle of everyday life - one of the best naturist campsites for a perfect camping holiday! Camping is popular amongst naturists because they can get as far away from the city noise as is possible during the tourist season. 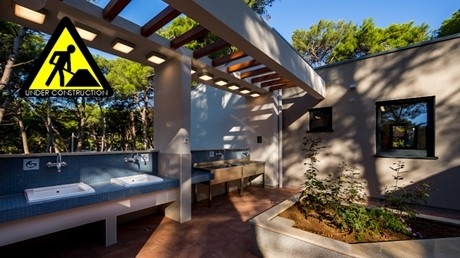 Surrounded by the crystal clear Adriatic Sea, in an oasis of Mediterranean oak forests and olive groves, grab some peace and relax like never before. Punta Križa is located in the vicinity of naturist camp Baldarin and is actually an old shepherd's village, where shepherds crossed paths (Punta Križa = crossing point). In this splendor of nature it is very easy to occasionally encounter a fallow deer, roe or a bottlenose dolphin in the sea. Settle on one of the campsite's Superior, Premium or Standard pitches and enjoy your naturist camping holiday. Alternatively, why not try one of our luxurious glamping tents, which provide a totally new and unique type of camping experience for you to enjoy. 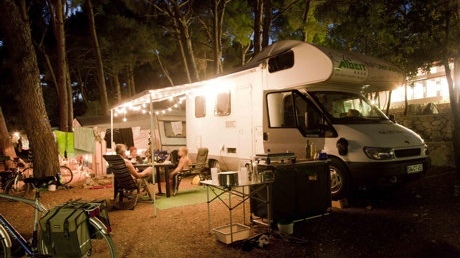 If you are a sporty type, then there are many options available for you at campsite Baldarin. Tennis, basketball, volleyball, mini golf, all are at your disposal. You can swim from a sandy beach like Bokinic or Lučica as well as several other small sandy beaches. Between these two lies a kilometer-long rocky beach. As with many naturist campsites in Croatia, both naturists and non-naturists are welcome here. Two thirds of the camp is dedicated to naturism, whilst the remaining third is for Textile (clothed) camping. If you're looking for peace surrounded by unspoilt nature, with bustle and noise just a fading memoriy for your vacation then camping Baldarin is one of the best naturist campsites you could choose! 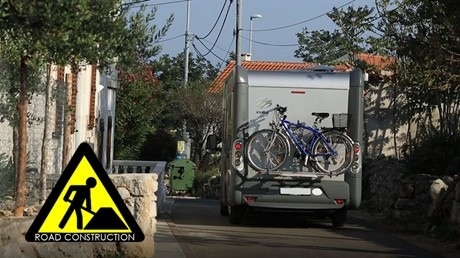 We would hereby like to inform you that on the main road to the campsite there is construction work being done on the water pipelines of Punta Križa – II. phase – the construction of the water pipelines is resumed as part of a project co financed by the Republic of Croatia and by the EU, carried out by the company Vodoopskrba i odvodnja Cres-Lošinj d.o.o., the contracting authority is the local administration. 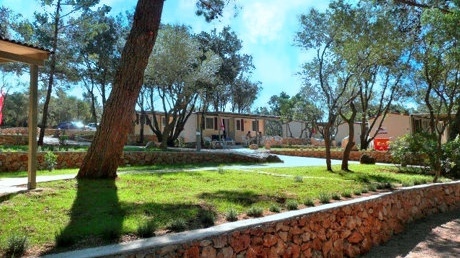 The development process of the Camping Cres & Lošinj brand, owned by the company Jadranka kampovi d.o.o., continues in 2019 by investing in 32 Easy Freedhome mobile homes and 10 new mobile homes type A and I, construction of new pitches, reconstruction of sanitary facilities and catering facilities, arrangement of the area for the accommodation of workers, and the reconstruction of many additional amenities. 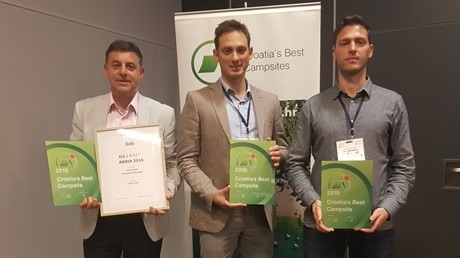 At this year's 11th Croatian camping convention, organized by the Croatian Camping Association (Kamping udruženje Hrvatska – KUH), held from November 13 – 15, 2017 in Šibenik, Jadranka kampovi won several awards. By investing into 30 new type C mobile homes, 20 new luxury Feedhome mobile homes and building Superior pitches at the Čikat and Slatina campsites, the development of the brand Camping Cres & Lošinj, of the company Jadranka kampovi d.o.o., continues into 2018. 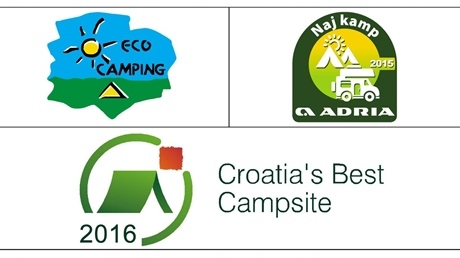 At this year's 12th Congress of Croatian Camping organized by the Croatian Camping Union (KUH), held from 12 to 14 November 2018 in Tuhelj, Jadranka kampovi d.o.o. has won several awards. 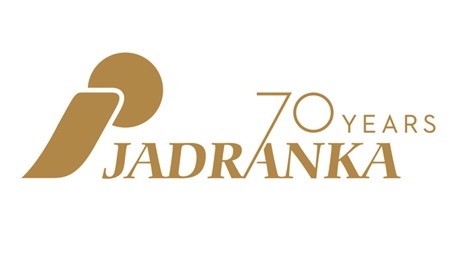 This year, the Jadranka Group, as the fifth largest tourism and trading company in Croatia, is celebrating seventy years of operations and challenges. One hundred percent owner members of the Jadranka Group are: Jadranka hoteli d.o.o., Jadranka kampovi d.o.o., Jadranka trgovina d.o.o. and Marine Medical Center d.o.o. In collaboration with our long time partner ZOOM - digital studio, we have made 4 new promotional videos. 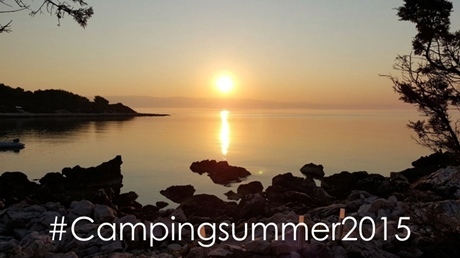 The winner of the „Photo contest 2015 - #Campingsummer2015“organized by the brand Camping Cres & Lošinj, was drawn. 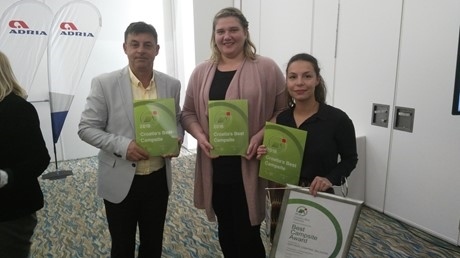 The company Jadranka kampovi, a member of the Jadranka Group, the fifth largest Croatian tourist company, has won a number of awards and recognitions over the past period. We have the winner of the prize contest ‘Camping Cres&Lošinj – 7-day family camping holiday’ organized by the company Jadranka kampovi. 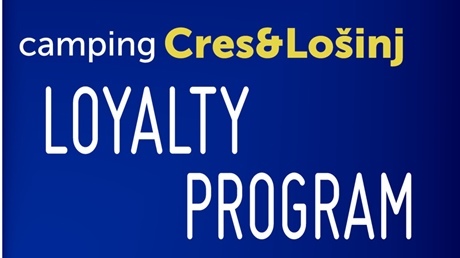 Sign up for Loyality club Camping Cres&Lošinj. This is a completely free Program that provides many benefits. From season 2014 all campsites of Jadranka camping Ltd. will have free Wi-fi Internet access. Glamping - a new luxury camping at the Baldarin campsite. 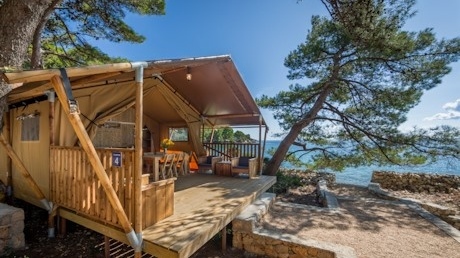 Choose from 3 different types of tents (Premium tent, Glamping tent and Bell tent) and enjoy your stay in the glamping village from where you can admire the natural beauty of the Cres - Lošinj archipelago. Pitches in first row to the see with beautiful terraces for special moments in naturist campsite Čikat. They are called "most wanted" because people of demand. Naturist camp Baldarin gives you that "something" needed for the perfect naturist holiday. Stay at the Premium pitches of Baldarin Campsite and enjoy the spacious pitch in lush Mediterranean nature. Naturist camp Baldarin offers accommodation on Standard pitches. The pitches come with electricity and are in the vicinity of the sea. Accomodate yourself on the Standard pitches and enjoy the sounds of the sea and the birds. 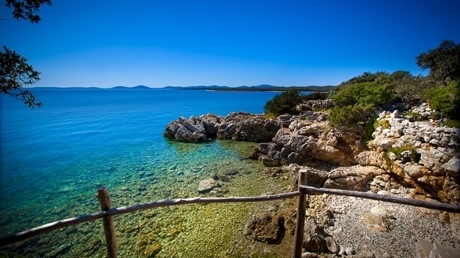 Select the perfect place for you, independently or with the help of camp staff and enjoy the charms of untouched nature of Punta Križa and campsite Baldarin. Accommodation in an unmarked area is possible with or without connection to electricity. 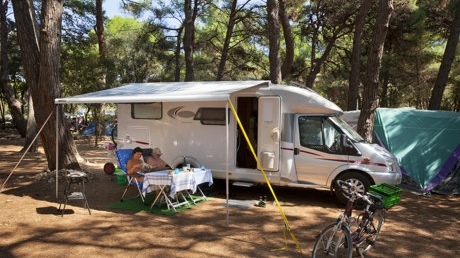 From season 2013 campsite Baldarin offers accommodation in mobile homes. 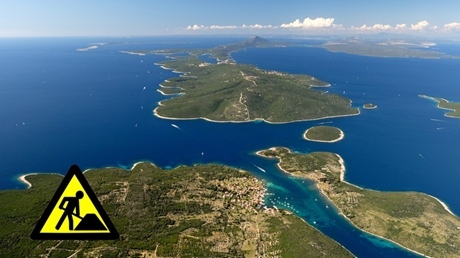 Mobile homes are fully equipped, what you need to do is, just come to Punta Križa on the island of Cres. 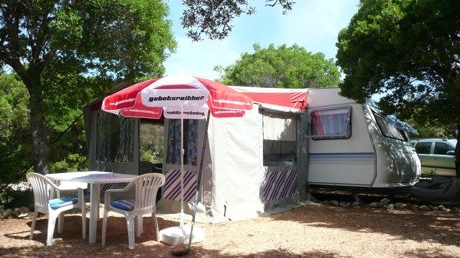 Campsite Baldarin offers accommodation in caravans for hire. 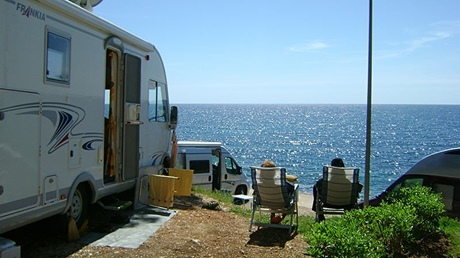 Caravans are placed in the textile and naturist section close to the sea. “ Amazing place, I cannot forget the sound of the cigalle and the beautiful green crickets. I love the quiet and shaded plots, it is really a place where... Read the full review ” Flory Petcu, Romania, 12.07.2013.